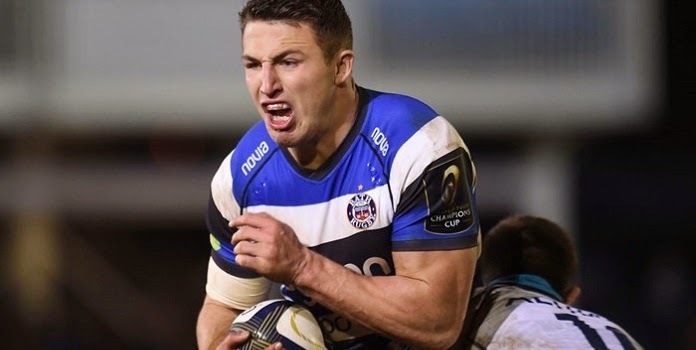 Sam Burgess admitted he was relieved to finally score his first try for Bath in their 39-26 English rugby victory over Wasps on Saturday. Former South Sydney NRL star Burgess, who started at inside centre, touched down just after halftime as Bath closed the gap on leaders Northampton to one point. It was the Englishman’s most effective display since he made his Bath debut six weeks ago following his switch to union from rugby league. Burgess, who signed a three-year deal with Bath after leaving Souths, said: “It was good. I am kind of glad to get the monkey off the back. “I was happy to get over for the try. George (Ford) found me with a great pass, and I managed to slide over. “I am improving week to week, and enjoying a bit more time on the field. Overall, I am happy with the way things are going, and there are things to work on, as always. Bath triumphed on the back of tries by Burgess, Francois Louw, Semesa Rokoduguni, Matt Banahan and Ollie Devoto.